means of sustaining “jing” or one's “life essence”. bones at home in no time. from cartilage that inhibit the growth of blood vessels. means of helping treat cancer due to this unique quality. cisplatin in combating cancer cells. One of the main components of bone is the protein collagen. to determine the patients sleep quality and efficacy. glycine levels had on an liver injuries caused by alcoholism. damaged by alcohol consumption would recover. gastric acid, which in turn would help speed up digestion. the body to break down essentials minerals more efficiently. from osteoarthritis of the knee. doses of collagen throughout study. 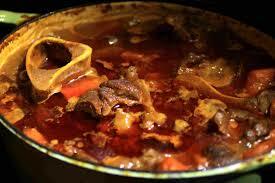 when ingested by means of a bone broth.